Home Food Poisoning News Starbucks: A Second Unhappy Holiday? Starbucks: A Second Unhappy [Food Poisoning] Holiday? Starbucks recalled certain breakfast sandwiches from 250 of the company’s locations nationwide­­, citing fear of potential listeria contamination. 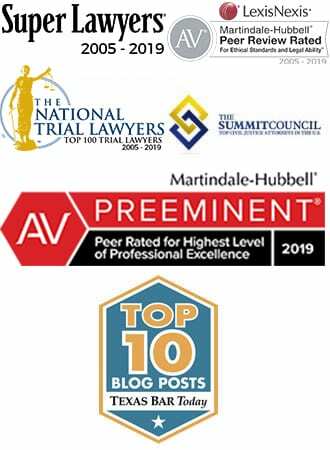 The recall comes after in-house testing procedures yielded a positive result for Listeria monocytogenes on a contact surface within the production facility. 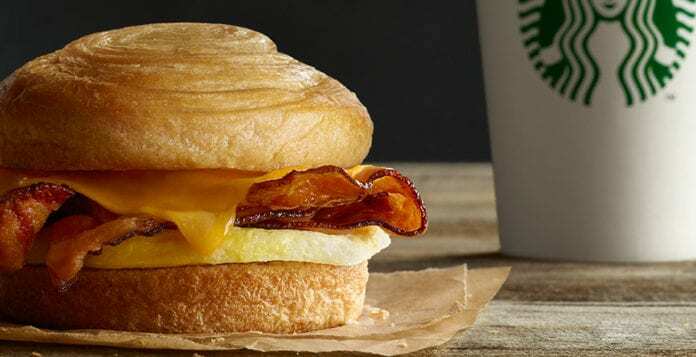 Starbucks franchises sell the six-ounce sausage, egg and cheddar cheese English muffin sandwiches; however, a different corporation – Progressive Gourmet Inc. of Wilmington, Massachusetts – actually produces, packages and distributes the breakfast muffins. The corporation and the Massachusetts Department of Health are “working closely with FDA” to investigate the source of the problem, the federal agency confirmed Tuesday. Texas, Arkansas and Oklahoma received shipments of the implicated production run and offered the sandwiches for sale on March 3rd and March 4th. Warehouses in Maryland, North Carolina and Louisiana also received shipments of potentially contaminated sandwiches, but had not yet distributed them to the individual storefronts. The potentially Listeria-laden sandwiches come in individual, clear six-ounce packages and show a “best before” date of “07-AUG-2016” stamped on the top. When asked to comment, Starbucks spokesperson made it clear that no food product – including the sandwiches in question – had returned a positive test for the organism to this point: “[t]he product itself has not tested positive for Listeria monocytogenes,” the spokesperson said in his statement. “No other products are affected” due to the issue in question, and the company has “not received any reports of illnesses” at this time. Starbucks patrons who previously purchased sandwiches in affected states can return them at the Starbucks locations where the food was first purchased. After routine testing revealed the presence of Listeria monocytogenes on a contact surface at Progressive Gourmet’s production facility, the producer elected to recall its six-ounce packages of sausage breakfast muffins manufactured for Starbucks Coffee Co. “out of the abundance of causation because they have the potential to be contaminated” with Listeria. No other production runs of the breakfast muffin are impacted by the present recall. This is the second time in recent months that foodborne pathogens plagued the coffee giant around holiday time. This past December, Starbucks rushed to remove its Christmas turkey panini from over one thousand stores across the US — a response to discovering an ingredient in the sandwich that was linked to an earlier E. coli outbreak. a Starbucks recall. Starbucks recalled its turkey panini sandwiches in December 2015 amidst concerns of E. coli contamination. In that case, celery produced by Taylors Farms, an American-based producer of fresh fruits and vegetables, was isolated as the likely cause of the outbreak. The celery, used in a celery-onion blend for more than one end-user, was also used in the sandwiches from Starbucks, which led the company to recall the sandwich from stores in California, Oregon, and Nevada. Starbucks passed through New Year’s and other minor holidays relatively unscathed; now, in the run-up to Easter (and related holidays), the caffeine factory faces problems once again — only this time, the microorganism involved is more virulent. At this point, it appears the corporate giant has avoided turkey-sandwich disaster, though it may be 3-4 weeks until we can state this with certainty. 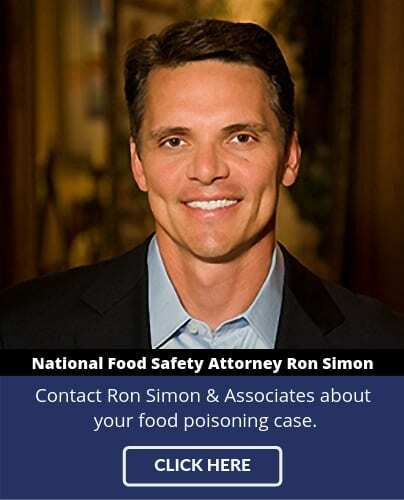 For information about the Starbucks E. coli outbreak, the Costco Celery/Chicken outbreak, or the ongoing activity related to Starbucks’ breakfast muffin recall, call Ron Simon & Associates’ team of food poisoning lawyers at 1-888-335-4901.